Many patients find travelling to hospital for multiple appointments very time consuming, expensive and stressful if they have to rely on public transport. As a volunteer driver you will be providing essential transport for cancer patients to and from their cancer specific appointments. The driving service currently operates in Newtownabbey and the South Eastern and Belfast Health Trust areas. Do you like meeting new people or want to gain key work skills? 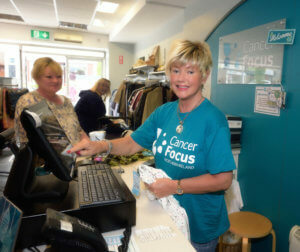 We need volunteers in our 12 charity shops to help us raise vital funds to support our work. Our shops in particular provide an essential part of the income necessary to maintain our Care Services & Cancer Prevention Programmes. Our Family Support Service provides help to families where there is a significant adult with a cancer diagnosis. You can help us organise games and activities or provide more specialist support for bereaved children and young people. If you’re qualified to NVQ level 2 in Beauty Therapy, you could join our Nail Bar team in the Belfast and Mid Ulster areas. 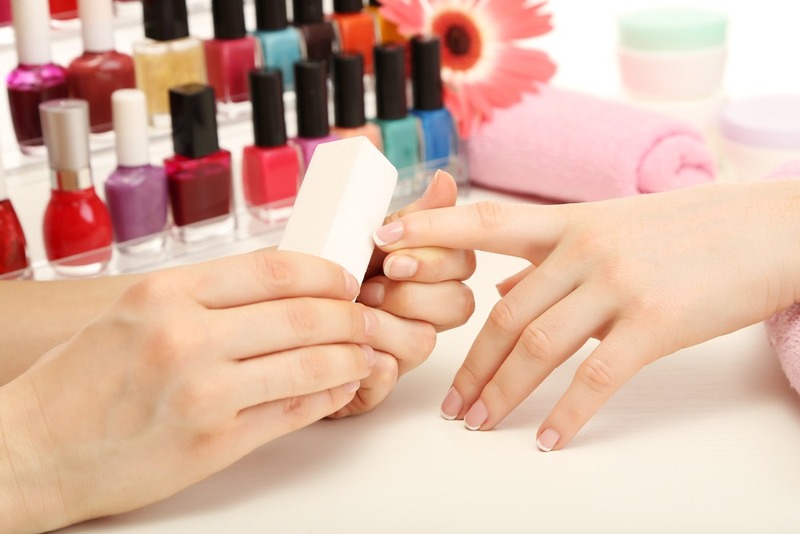 In this role you will be part of a Cancer Focus NI team running a nail bar in the Bridgewater Suite in the City Hospital, and Outpatients at Craigavon Hospital providing complimentary nail treatments and hand massages to patients undergoing cancer treatments. If you’re qualified in health promotion and want to gain some practical experience, help us take our cancer prevention messages into the local community. This role involves engaging with individuals, in an informal manner, at venues around Northern Ireland to raise awareness of cancer prevention, healthy lifestyle choices and early detection messages. Support women after breast surgery by volunteering with our specialist bra and swimwear fitting service. You can help support Cancer Focus Northern Ireland in your local community by joining a team of enthusiastic and motivated individuals promoting our work and services and increasing our capacity to support people affected by cancer. If you’re aged between 16 and 25 you can also become a Millennium Volunteer. Learn new skills, gain experience to add to your CV and receive nationally recognised awards backed by the Department of Education. Want to get involved but not sure how? Just subscribe to our fortnightly email and keep updated. Be part of our Cancer Prevention team and help deliver health promotion programmes to students and children in Primary and Post Primary schools in your area. 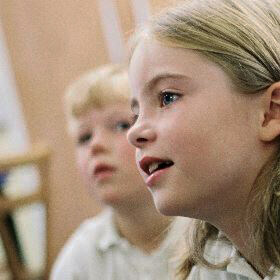 Help us empower young people to make healthy lifestyle choices. If you would like to volunteer for any of the above roles, please print off our Volunteer Application Form, fill it out and send it in. If you have a query you’d like answered, please fill in the form below of contact Morag Chambers on 028 9066 3281 or email moragchambers@cancerfocusni.org. Is there anything in particular you're enquiring about?